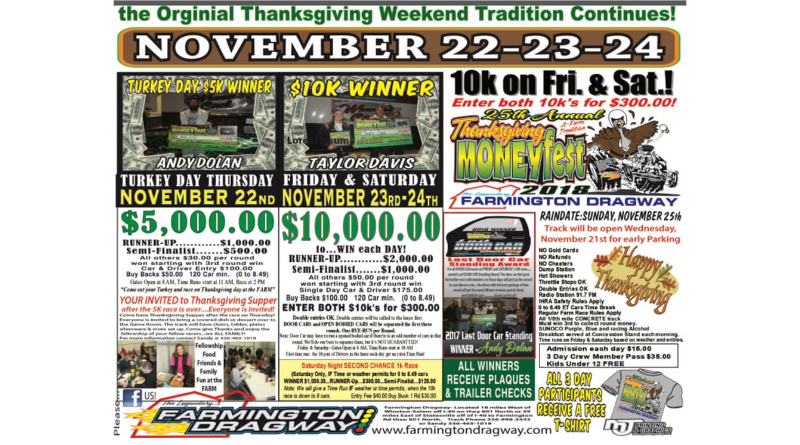 MOCKSVILLE, N.C. – The Farmington Dragway Thanksgiving tradition continues this year with the 25th Annual Thanksgiving Moneyfest. The three-day bracket racing event includes a $5,000 to win event on Thursday along with a $10,000 to win race on Friday and Saturday. For more information see the event flyer posted below.